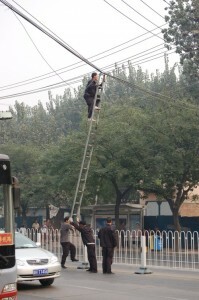 This is a photo I took in Bejing a few years ago and have been meaning to upload it for ages. 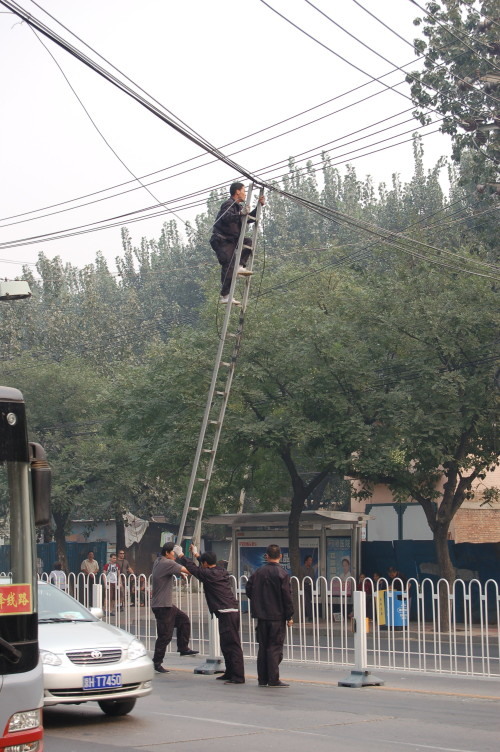 The picture is of a couple of guys repairing a telephone line (or some sort of overhead cable). The work was undertaken in the face of oncoming traffic.